The world’s largest solar research institute, Fraunhofer ISE, has designed a new solar reference cell built to improve the quality of cell measurements. Build according to the international standards of the World PV Scale (WPVS), Fraunhofer ISE’s new reference cell will allow test laboratories and cell and module manufacturers to significantly improve the quality of their measurements for the calibration of different types of solar cells. The new reference cell incorporates a new cell type based on negative, conductive silicon material. 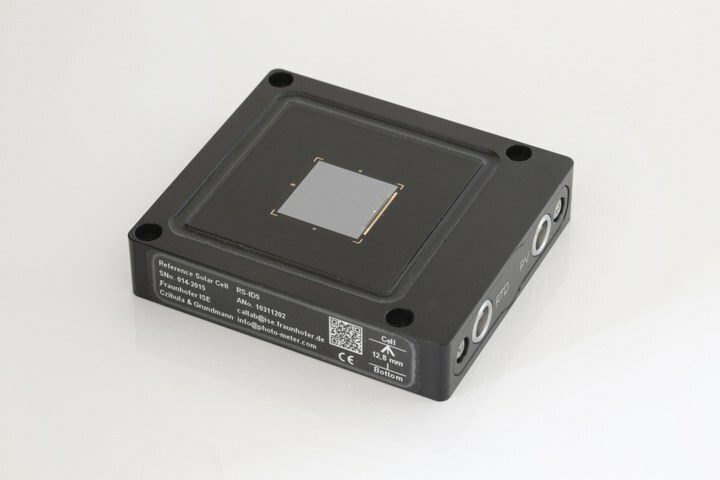 Furthermore, the outdoor version of Fraunhofer ISE’s new reference cell allows for exact measurements to be taken outdoors. Speaking specifically about reference cells, in general, the more accurately irradiation can be measured in a solar cell, the more accurately the performance of PV systems can be assessed. 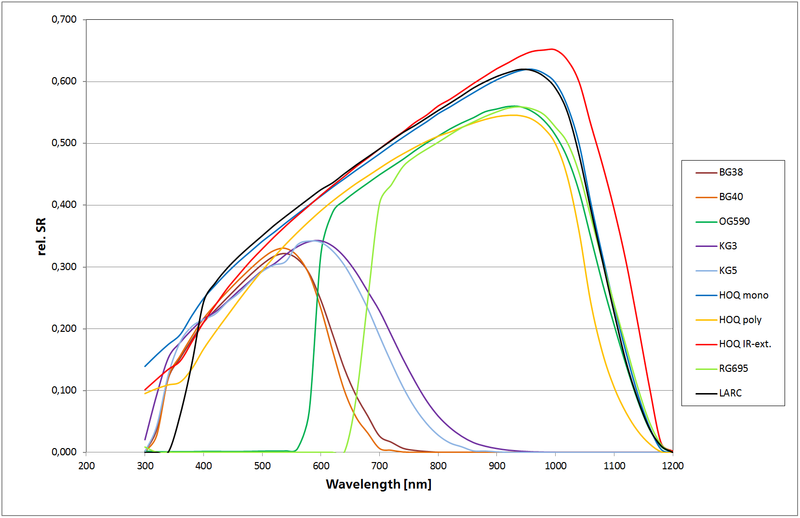 Spectral response (Relative Spectral Response) of various reference cells in comparison with the new type (HOQ IR ext.). 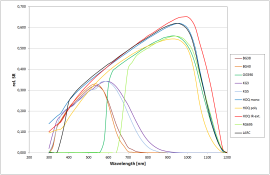 As mentioned, the new reference cell makes use for the first time of a silicon solar cell made out of n-type material, which, according to Fraunhofer ISE, “allows for a significant expansion of the spectral response (see chart) in comparison to the p-type” reference cell. “The new reference cells are therefore particularly suited for the calibration of new solar cells and modules that are also n-type based and have better spectral response than the traditional p-type based reference cells,” Fraunhofer ISE continued in its press release accompanying the announcement.